I’ve just had a brilliant idea for Hollywood celebrities and other leftist nincompoops dreading the coming presidency of Trump. Virtue-signalling celebs, it’s time to pack your bags for sunny Cuba! A wide variety of entertainers (I use the term loosely) and other left-leaning Americans announced during the run-up to the election that they would leave the country if Donald Trump won the presidency. Of course this election the stakes were even higher. More famous people than ever banded together in their opposition of Donald Trump, promising to flee the Trump reign of terror. They screeched about it desperately to anyone who would listen. Expatriation plans are a liberal’s favorite political gesture, full of symbolism but devoid of real intent, with only the slightest chance of causing harm to the speaker’s pampered existence and jaded worldview. A social justice warrior crying wolf? Say it ain’t so! To the typical actor, threatening to leave the United States over the election was just another set of lines to read. Like Sith Lords, hobbits, and people who find Lena Dunham sexually attractive, the prospect of Donald Trump winning the election was supposed to remain horrifying but entirely fictional. Here’s where things get amusing — or awkward, depending on your point of view. The celebrities in question almost uniformly threatened to move to white countries. Very white countries. Even Snoop said he’d go to South Africa — the whitest of all African nations. Imagine the ego it takes to call working-class Americans racist while you plan to move to Canada if your candidate loses. If it wasn’t Canada, it was New Zealand, Australia and other lily-white, English-speaking countries. It turns out that the Hollywood Left is more racist than those high-level Nazis who settled in South American compounds after fleeing Germany. At least Hitler’s generals were fine living next to brown people. Why couldn’t some of these egomaniacs at least have promised to move to the United Kingdom or France, which are quickly becoming unrecognizable thanks to Muslim immigration? 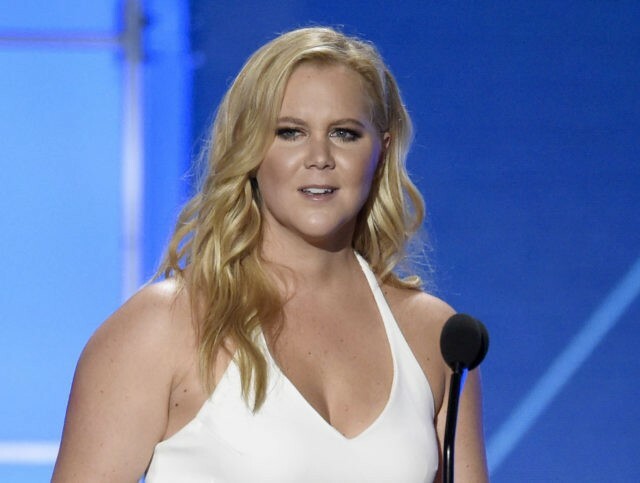 Amy Schumer claims her plans to leave were a joke. If that is true, it might be her first original zinger in years. Because I care so deeply about all people, even those so misguided as to disagree with me, I’ve put all of my brainpower into helping Hollywood solve this problem. I think I have the perfect plan. Would you expect anything less? American celebrities should move to Havana. Think of all the advantages Cuba has! Easy access to the United States for work, or when being surrounded by the human misery bred by communism gets a bit much. Cher could even charter a luxury cruise ship and claim to be a Cuban boat person. If Hollywood types are already treated like royalty, imagine the way they will be treated by the unimaginably poor residents of Cuba that have suffered under decades of Castro rule? They’d become gods among men, which is how the Hollywood elite prefer to think about themselves already anyway. Cuba, like any communist country, already has some level of comfort for those wealthy and politically-connected enough to afford it. Celebrities would be set up with a secure compound so the only Hispanics they had to interact with on a regular basis would be their housekeepers, cooks and chauffeurs — just like Canada, but with better weather! There could be career advantages to being in Cuba, too. Dunham is no stranger to using relatives to her own advantage, and Cuba could help her do it again. Imagine Lena past her prime (i.e., the moment she was conceived) letting a relative escape to Florida, only to be brought back to Cuba in dramatic fashion like Elian Gonzalez. Yes, there are some rough edges. Havana would need a massive number of Starbucks franchises and better 4G connectivity for all the “look at me with poor brown people” selfies. They’d also need to open several raw vegan restaurants, where the entrées cost more than the average Cuban makes in a year. Most celebrities would frown on driving a Volkswagen Beetle from the sixties, but this is likely to be a temporary sacrifice until the Tesla dealership opens. These are just minor details, of course. Let the commies solve them so long as iPhones still work. Cuban politics follows a twisted sort of logic that is perfect for liberals. These famous left-wing Americans are the people who defend Islam because it suits their political purposes. So they will surely have no problem moving to a leftist country whose former leader (I’m glad he’s dead) shipped gays off for re-education. Most importantly, there is a huge vacuum of VIPs in Cuba following the death of Fidel. Have you ever known a Hollywood celebrity to resist a chance to become even more famous and beloved?